Are you bored of games for kids? 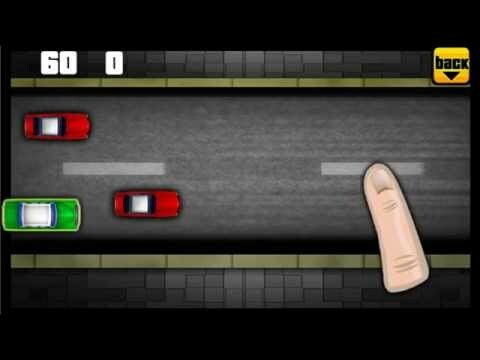 Play Grand Theft Radar and help president Obama fight speeding cars of New York and suburbs. In times of global crisis the drivers of New York and other cities have to be aware. President Obama and his speed cameras are waiting for driver's money. Grand Theft Radar is a funny, smasher-like game. Help president Obama fight global crisis and collecting money from cars that drive too fast. This funny game is perfect for kids, teenagers and adults. Funny drawings between stages of the game make you laugh. You can play in various environment. There is stage in the city (New York) at desert, and in the winter. On the begining of each level president Obama tells you how much money do you need to collect. If car is going to fast it's blinking. Smash it immediatly, and see camera flash. Smash cars, sport cars, and trucks to get money. Avoid Police choppers, police cars, and police bikes. If you smash police by mistake you loose money and time. This is funny, because sometimes police is blinking to trick you. Can you dare to play this game? This application may contain advertisements in the form of push notifications, homescreen shortcuts, and browser bookmarks.